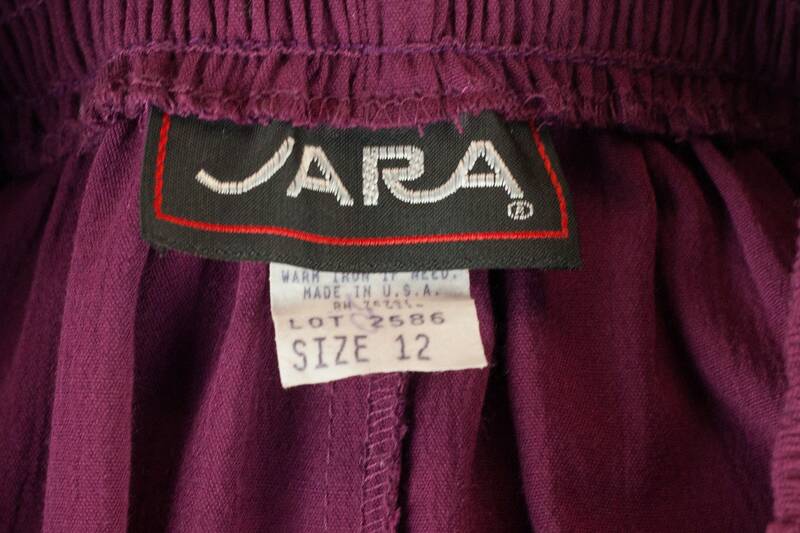 80s Jara maroon pleated ankle-length skirt with elastic waist and belt loops. 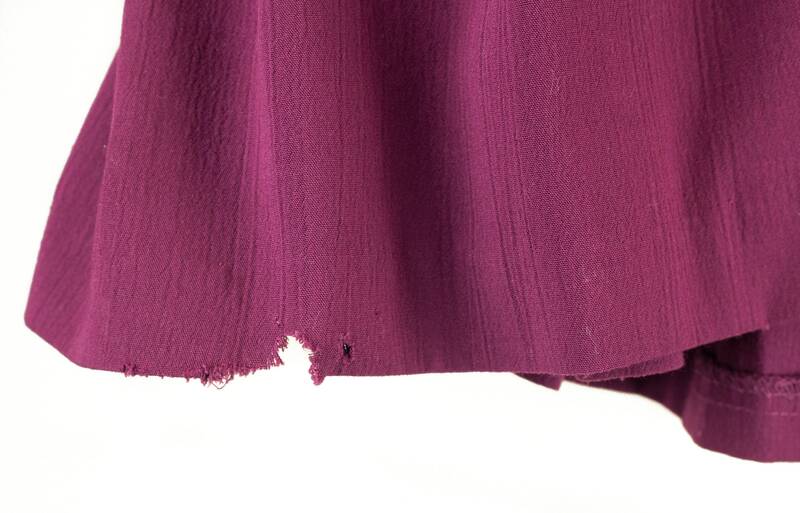 Item is in good vintage condition with tattered spot at bottom hem (seen in photos). 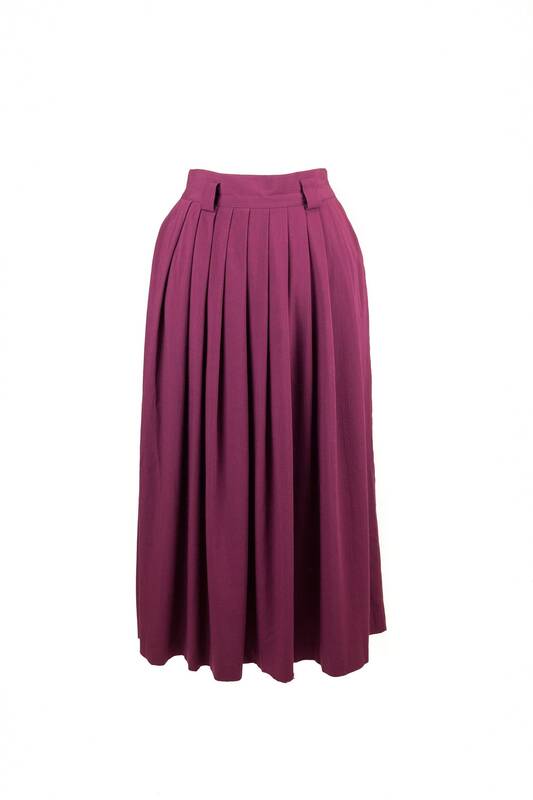 Style with a cute tucked-in tee, fun belt, and comfy sandals or sneakers!